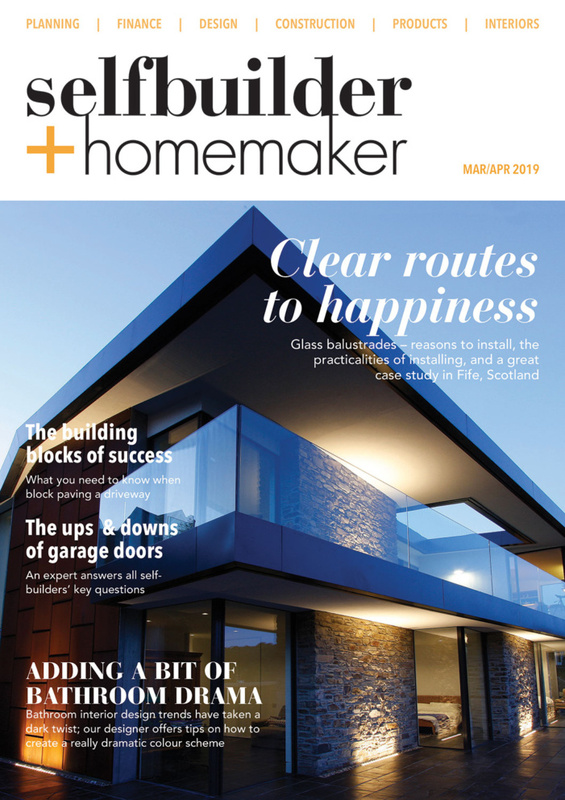 Ceramique Internationale’s Peter Vann discusses the tiling trends that are currently influencing the market and the options available to self-builders. 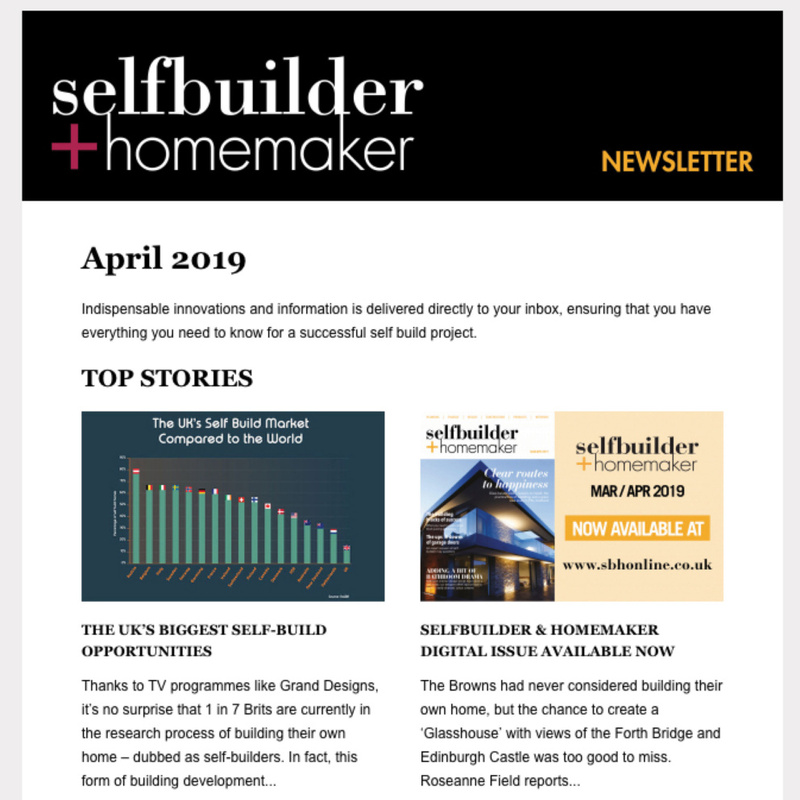 According to recent statistics, planning applications for major renovations and conversions have soared by more than 25 per cent over the past five years, as homeowners seek ways to create their dream home, with loft conversions, kitchen expansions and bathroom redevelopments. While maximising space can help create the perfect home, it’s often the finishing touches, such as the tiles, which can really make the difference, adding a sense of style, luxury and individuality. Of course, choosing and laying tiles is not something you do as regularly as perhaps painting a wall or hanging wallpaper, so it is important to choose carefully. Over recent years, the growth in technical improvements, such as the use of inkjet printing which can perfectly replicate materials such as wood, marble and natural stone, has proved advantageous to both interior designers and more importantly, the homeowner. As well as offering a perfect replica of natural materials, the tiles provide a host of other advantages – such as ease of installation, durability, cleanliness, reduced maintenance and the conservation of natural products. This enables homeowners to introduce their preferred look – whether that is statuario marble, French limestone or aged oak – into the home without the associated costs and hassle. When it comes to textures and effects, wood tiles have truly dominated the market in recent years, but many manufacturers are now branching out and introducing products that replicate textile and fabric finishes. Several manufacturers have launched collections that are reminiscent of hessian, although with a softer milder texture and designed for use on both walls and floors. That’s not to say wood-effect tiles are losing their popularity, in fact, there are now more options available than ever before. One manufacturer has recently released a collection of small format wood-effect tiles, but instead of natural oak and ash tones, the tiles are available in a rainbow of colours. Consumers are also becoming bolder in their selection as they strive to create standout features and focal points. Tiles are becoming so much more than a wall or floor covering – they can be used to generate the illusion of space in smaller rooms, to create flow from indoor to outdoor areas, and even to help fashion seats and pedestals within bathrooms. In the bathroom especially, consumer confidence is having an impact on room design with homeowners renovating and investing to create standout spa-like or hotel-style environments. With the help of tiles and associated products bathrooms are now able to be much more than functional rooms and are becoming areas of escape and luxury. to create in-shower furniture, floating pedestals and ensure functional, but disguised, drainage are now easily accessible and are often customised with mosaics. 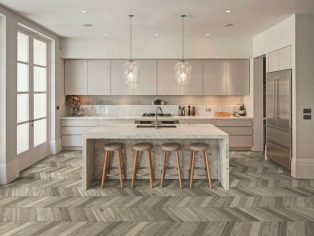 Coupled with products such as underfloor heating systems to offer extended luxury, tiles really are a key part of these very popular household renovations. The trend for large format tiles has been growing in recent years, but the latest development has seen the launch of extra-large tile sheets. Many of the European factories – particularly in Italy – have been investing in new technology, which enables them to produce these huge – and very thin – tiles, sized up to 120 x 260 cm and just 6.5 mm thick. 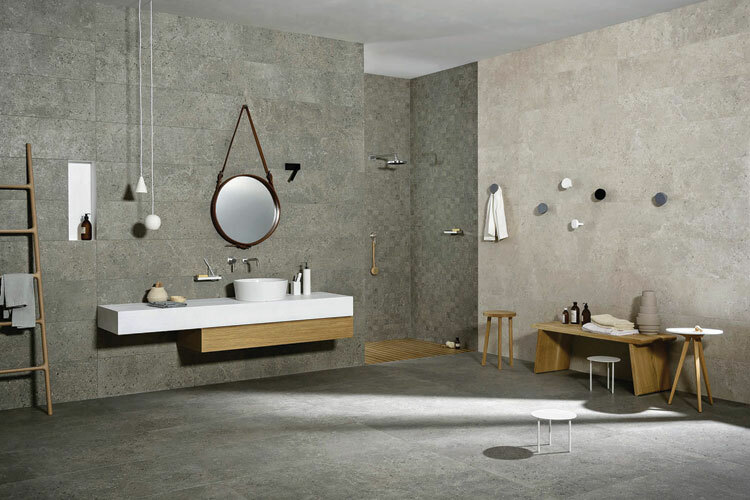 Many of the new collections were showcased at last autumn’s Cersaie event – an interior trade show hosted in Bologna, Italy – and, while this size won’t suit all homes, especially more compact UK houses, it is set to have a big impact. In general, the use of large format tiles has proved to be popular for a number of reasons. Firstly, as a way of creating an illusion of space in smaller rooms – especially bathrooms. The bigger tiles mean there are less joins and grout lines, therefore the finish is more seamless. In addition, the reduction in grout lines means less cleaning and maintenance. Another tiling option, which has been traditionally seen as a high-end product, is about to see its popularity broadened across a much wider market. Natural marble is often linked with lavish homes, but it has recently enjoyed a new lease of life thanks to the advances of inkjet printing, with its detailing and veining being perfectly reproduced on ceramic tiles. This was also showcased at the Cersaie 2017 event, many stands featured a new generation of marble- effect tiles, often in a statuario design, which features a white background and sparse dark grey or gold veining. 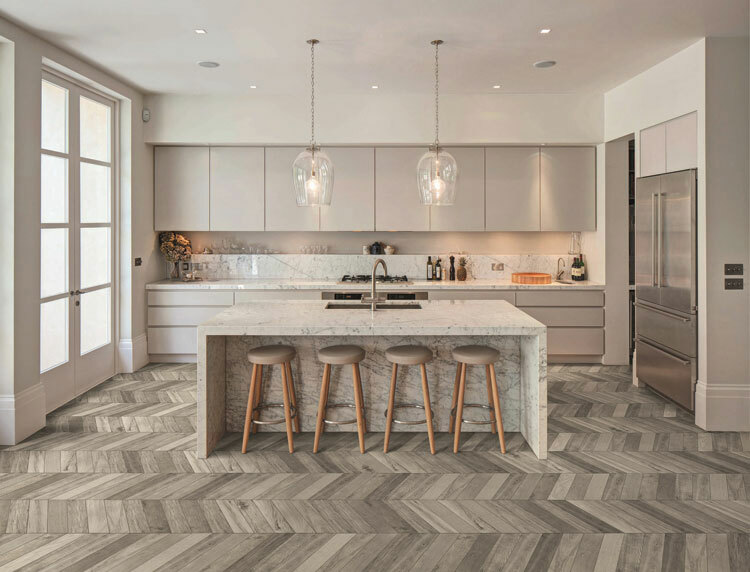 Geometric patterns and effects have been big news in recent years and now we’re reaching the next stage with more unusually shaped tile shapes – such as rhomboid and triangular – becoming more prevalent and we expect to see even more of this coming through. In terms of shape, 2017 saw a huge rise in chevron tiles for floors, and so it was no surprise to see chevron wall tiles also emerging late last year. Ultimately, new advancements in the production of tiles are presenting interior designers and homeowners with more choice than ever before, offering the ability to create a truly standout design.